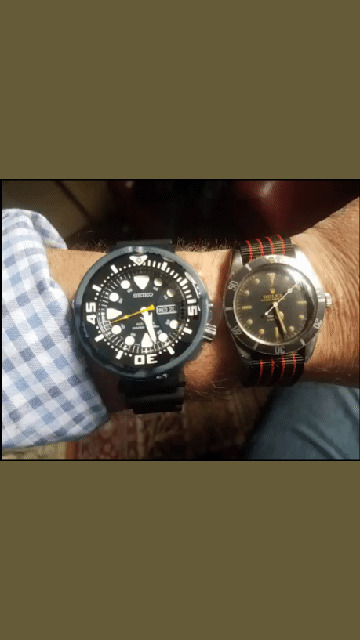 Watchlords • View topic - Work getting in the way of your watch love? Work getting in the way of your watch love? Editor’s note: Work. It’s one of life’s unavoidable necessities. And for us watch folk, a place that if we’re not careful, our choice of wrist-wear and love of watches can lead to a spot of trouble. Especially now, when the year’s brand-new releases are hitting the storefronts and there is research and shortlisting to be done. While HR are no use, we have your back here at T+T. And although we can’t help you towards an early retirement, or even write you a sick note, we can help you hide your obsession in the office with these 9 helpful hints from Mr Andy Green. Odds are that if you’ve found your way to our website and landed on an article titled ‘How to hide your watch obsession’ then you’re pretty passionate about your watches. After all, they say the first step to recovery is admitting you have a problem. But I’m not here to solve anyone’s problems — I’m here to help you hide them. To the uninitiated, spending what seems like abhorrent amounts of money on watches might seem ridiculous. To make matters worse, it can send the wrong idea. After all, fine mechanical watches are expensive, so lots of expensive things can easily create the perception of lots of money — which probably isn’t what you’re going for (if you are, then stop reading). In fact, I’ve noticed a lot of collectors go out of their way to avoid these sorts of perceptions, especially in their workplaces. It makes negotiating an end-of-year bonus — or a price rise to your customers — quite a bit more difficult. Just ask Mr ‘Apple Watch’ Turnbull. Re: Work getting in the way of your watch love? Nice idea, conj - getting all romantic over a sweet young thing who just happens to have her right arm kinda/sorta reaching out to slyly touch the back of a guy with guns bigger than the Schwerer Gustav. But I'm with ya, man - the older you get, the worse it hurts. I knew I was gettin' old the first time I walked into The Gap and this heavenly young thing walks straight up to me and asks: "Looking for anything, sir?" Now, if you'll excuse me, I gotta wash this stuff out - it's been way past five easy minutes. Believe me, T, romance has got nothing to do with it!! TemerityB wrote: Nice idea, conj - getting all romantic over a sweet young thing who just happens to have her right arm kinda/sorta reaching out to slyly touch the back of a guy with guns bigger than the Schwerer Gustav. Yup. In terms of Jordan Klymidia, the hipster with the big muscles and the carefully crafted five-o'clock shadow, that's an easy one to take care of, too. Invite the guy to a top-floor office, get him a club soda, comment favorably on his soon-to-be neckbeard, and when he's not looking, slip some bath salts into his drink. Then excuse yourself, making sure that you leave a window open. Gravity will take care of the rest.